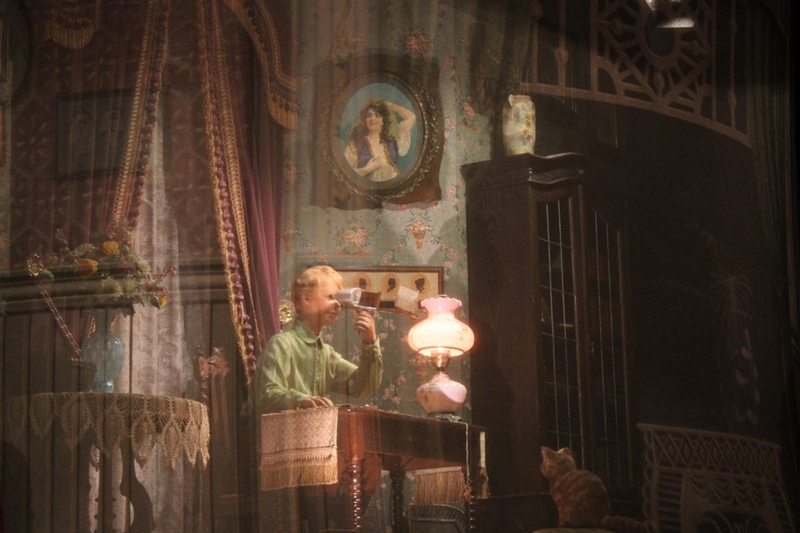 In the Carousel of Progress' opening scene between Jimmy and his father, John, guests are introduced to the stereoscope, Little Egypt, the hoochie coochie, and the concept of the World’s Fair all in a very brief exchange. The question is how much history is present and how much of it is historical fiction? This vignette truly relies on the connection between Little Egypt and the World’s Fair, and it may not be a straightforward as it is presented within the storyline of the Carousel of Progress. Little Egypt is, not surprisingly, a stage name, but it is one that is actually attributed to three separate dancers in the late 1800s and early 1900s. The three dancers in question were Ashea Wabe, Fahreda Mazar Spyropoulos, and Fatima Djemille. It is worth noting that Fahreda also appeared under the name of Fatima, in case we needed something a little more convoluted to work through. In 1893 the World’s Columbian Exposition was held in Chicago, the event would later become known as the World’s Fair. The Chicago event was slated to open in 1892 as a way to celebrate the 400th anniversary of Columbus’ discovery of the Americas, but due to delays the Exposition would open to the public a year late. A feature of the Exposition that ran just off from the main event and featured sideshow attractions, including state and national amusements, was known as the Midway Plaisance. It would commonly be referred to as the Midway and it included aboriginal exhibits, snake charmers, winter sleds on wheels, and the highly sought after Cairo Street. On Cairo Street was where visitors could find Little Egypt doing the hoochie coochie. Which Little Egypt you might ask? As it turns out it was both Fahreda and Fatima. The hip shimmying dance they performed was actually known as the Danse de Ventre during its performance in Chicago. It wouldn’t be known as the hoochie coochie, coochie coochie, or kouta kouta until after the Exposition. The art of the Danse de Ventre would eventually fall under the category of belly dancing or the more appropriate moniker of burlesque. It seems like we’ve strayed a bit far from the Carousel of Progress and the World’s Fair in St. Louis, haven’t we? I think it’s time we return to the opening scene of the Carousel of Progress where we were looking at a home sometime after the turn of the century, in the early 1900s. With the mention of the St. Louis World’s Fair, or the Louisiana Purchase Exposition as it was known at the time (I’ll give you one guess what it was celebrating), we can assume we’re visiting around 1904 or 1905. The problem with the Little Egypt nod is that she wasn’t a highlight of the fair the way she was in Chicago’s Exposition. That isn’t to say that belly dancing wasn’t there or that it couldn’t have been performed by Little Egypt. In fact, by the turn of the century, anything resembling burlesque could and would be known as the hoochie coochie. Similarly, there were many impersonators performing under the name of Little Egypt. So while there may have been a Little Egypt in St. Louis, it may not have been one of the original namesakes or even the original dances. World’s Fairs are incredibly important to Disney, and the Carousel of Progress in particular. After all, it was the Carousel family that made their debut at the 1964 New York World’s Fair. The next time you’re taking a turn through the century, just remember how important all the little vignettes are to the pop culture of the American family. Who knows what bit of history is shining at the end of every scene, even if it might be a step out of time.